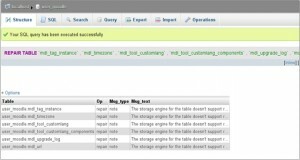 How to Optimize MySQL Database Tables? 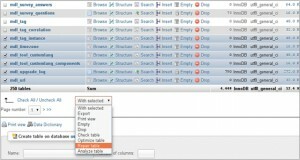 February 24, 2010 Shane J WebSite Maintenance Tips Comments Off on How to Optimize MySQL Database Tables? 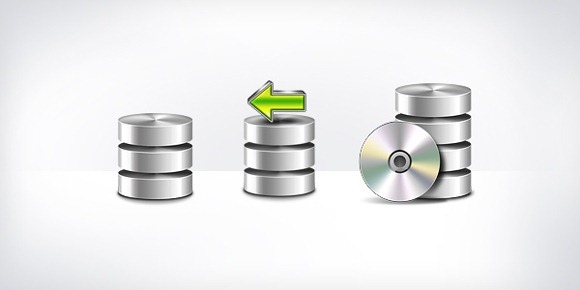 Open the database which you want to optimize. 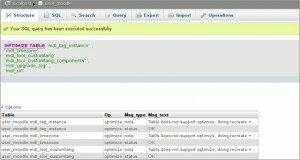 Select the tables that need optimization. 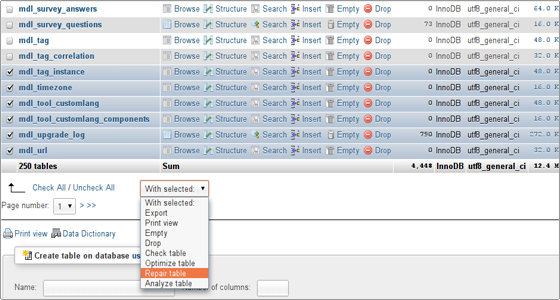 From the drop-down menu pick the Optimize table option. 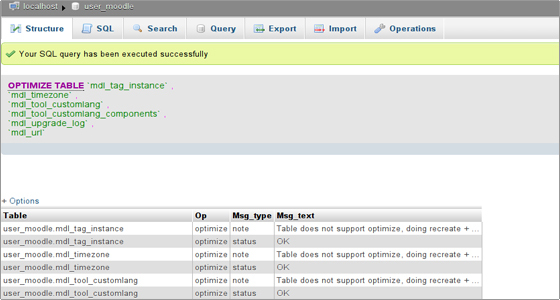 After the tables’ optimization a confirmation message with a list of the optimized tables will be visualized on the screen. 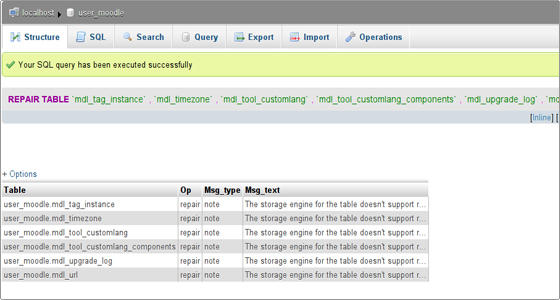 How to Repair MySQL Database Tables? February 24, 2004 Shane J WebSite Maintenance Tips Comments Off on How to Repair MySQL Database Tables? Sometimes the database tables get crashed. Also, they should be optimized from time to time. 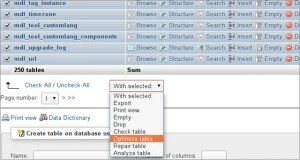 In this part of our PhpMyAdmin tutorial we will show how to repair and optimize database tables through PhpMyAdmin. Open the database which should be repaired. 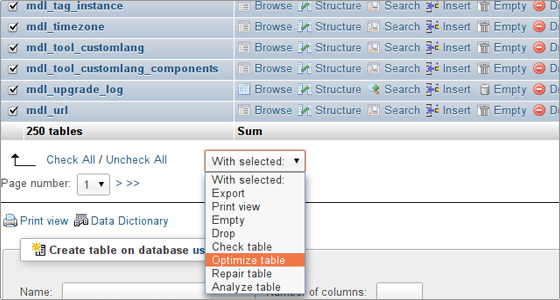 Select the tables that need repair and pick the Repair table action from the drop-down menu located below the tables’ list. The tables will be repaired and you will get a confirmation screen.